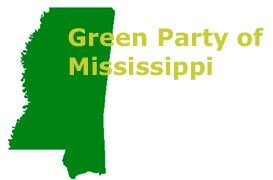 The Green Party of Mississippi today announced its support for the Cobb-LaMarche presidential campaign’s efforts to seek recounts of the presidential vote in Ohio and New Mexico. “The Green Party of Mississippi believes in a democratic electoral process where everyone has the right to vote and the right to have their votes counted. The 2004 presidential election was marred by reports of malfunctioning voting machines, voter suppression and biased election officials. We believe recounts are appropriate in New Mexico and Ohio to ensure that all votes are counted fairly and accurately,” said John Wages, State Chair. The recount in New Mexico will begin by the end of this week. The Ohio recount is likely to start on December 13, following the certification of the vote by the Ohio Secretary of State on December 6 and a five-day notice period. The Ohio recount has been the subject of litigation in both state and federal court and will be the focus of a hearing on Wednesday, Dec. 8, in Washington, DC, chaired by Representative John Conyers (D-Michigan). David Cobb will testify at the hearing, which is scheduled for 10 AM in the Rayburn House Office Building. Cobb’s demand for an Ohio recount has also been endorsed by The Reverend Jesse Jackson, Congressman Dennis Kucinich (D-Ohio), and a number of voting and civil rights organizations. “In order to protect and restore the integrity of the voting process, we have to recount the vote in Ohio and New Mexico and make common sense improvements in how we conduct elections. There must be auditable paper trails for electronic voting machines and public access to the data and software on the computers that record and count our votes. We must also never again allow partisan campaign officials to be in charge of counting votes,” said David Cobb. Both Ohio Secretary of State Kenneth Blackwell and former Florida Secretary of State Katherine Harris served as state Bush campaign chairs while overseeing the elections of 2004 and 2000 in their respective states. The Cobb-LaMarche campaign is recruiting volunteers and raising funds for monitoring the actual recount process. Volunteers and donors should visit the campaign Website (www.votecobb.org) for more information.